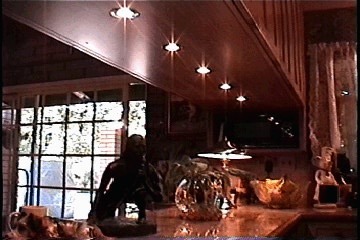 A two sided Penninsula Upper suspended from a drop-soffit. 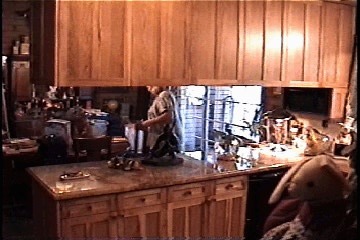 There is 'Rope-lighting' set into the Plate Rail above the Cabinetry. Fisher-Paykel Dish Drawers left of the Trash Pull-out and a Microwave under the Penninsula Upper. 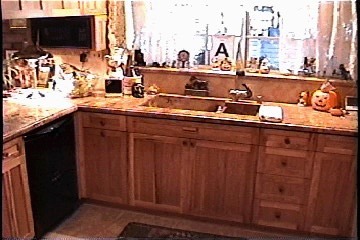 The sink is made of the same Stone as the Counter. 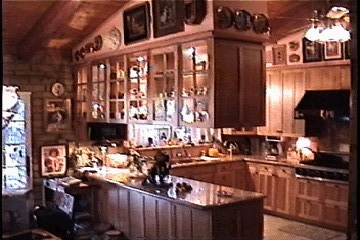 The back side of the Penninsula Upper has solid doors to hide the Everyday Dishes. 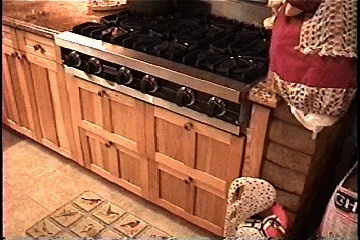 The Split Plaques below the Cooktop are actually two seperate 'Pot and Pan' Drawers. The Penninsula is lit from Halogen Lighting set into a Panel recessed into the Upper Cabinet. 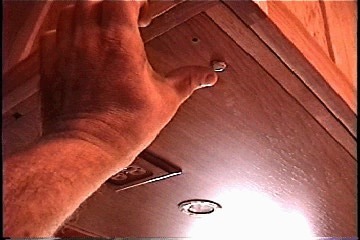 The Lights under and inside of the Penninsula Upper are actuated from Touch Sensors at the Bottom Corners. 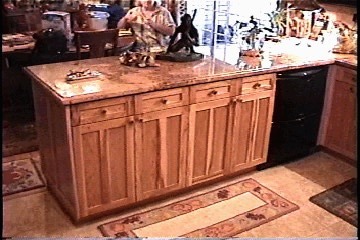 In a 'Double Shaker' design utilizing Hickory, Granite Counters, and Tile and Hardwood Floors.